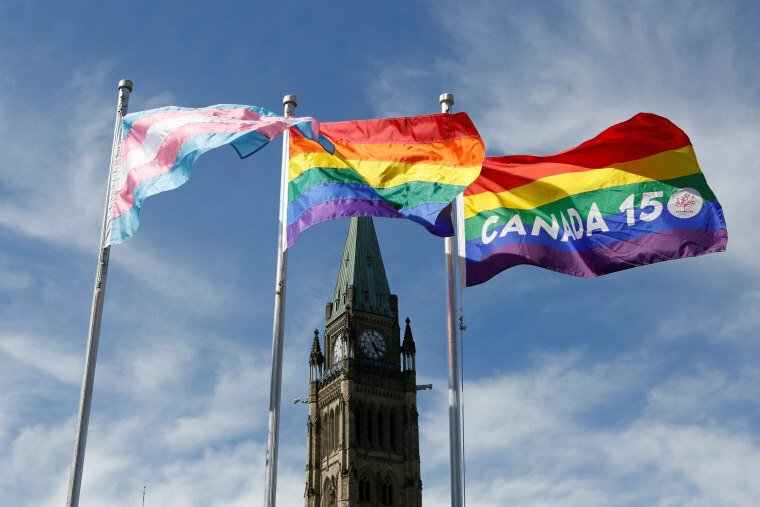 While many LGBTQ advocates in the U.S. have been fighting against retrenchment of their rights, Canada set an international precedent for the protection of transgender and gender-nonconforming people. “It is a great day for transgender Canadians and for the LGBTQ2 community in Canada,” Boissonnault told NBC Out. “It saves lives,” he added, noting the bill’s far-reaching implications of prohibiting discrimination in any federally regulated sector. Once the bill passes royal assent — a formality Boissonnault expects to occur next week — it will become law. This week, Yukon became the last of Canada’s 10 provinces and three territories to adopt provisions protecting gender identity. Thus, when Bill C-16 becomes law, transgender people will be protected at both the provincial and federal levels in Canada. As advocates celebrate the win, it’s easy to forget that the bill has not progressed without hiccups and controversy. Member of Parliament Bill Sikway introduced similar legislation more than a decade ago, and a subsequent bill, C-279, died in 2015 before coming to a vote. C-16 was introduced in its current form in May 2016 under the politically auspicious circumstances of Justin Trudeau’s Liberal Party government, but it was still slow to progress through the Senate. This prompted allegations that members of Canada’s Conservative Party were stalling. As a result, Kirkup said the legislation may push institutions like the criminal justice system to change policies that affect transgender inmates, such as their placement in gendered facilities. “The Correctional Service of Canada is already looking at the policy and saying, ‘We are vulnerable to a human rights challenge’ and proactively changing policy,” he explained.